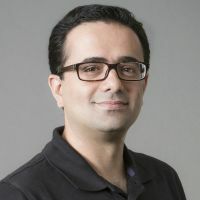 Alireza Tabatabaeenejad is a Research Professor in the Department of Electrical Engineering at the University of Southern California. He received his B.S. degree in 2001 from Sharif University of Technology, Tehran, Iran, and his M.S. and Ph.D. degrees in 2003 and 2008, respectively, from the University of Michigan, Ann Arbor, all in electrical engineering. Before joining USC, he was a Postdoctoral Research Fellow at the Radiation Laboratory, University of Michigan, Ann Arbor. His research interests are radar remote sensing, electromagnetic wave propagation, and applied and computational electromagnetics. Dr. Tabatabaeenejad is currently a member of the NASA ABoVE Science Team. He was a lead investigator of the NASA AirMOSS root-zone soil moisture retrieval algorithm team, and was also Vice Chair of the IEEE Geoscience and Remote Sensing Society (GRSS) chapter in the Metropolitan Los Angeles section. Dr. Tabatabaeenejad is an IEEE Senior Member and a member of Commission F of International Union of Radio Science (URSI). Dr. Tabatabaeenejad's research has focused on forward and inverse algorithm development for retrieval of soil moisture and other products from radar data. These algorithms have successfully been used for NASA's Airborne Microwave Observatory of Subcanopy and Subsurface (AirMOSS) project. Dr. Tabatabaeenejad is currently member of NASA's Arctic-Boreal Vulnerability Experiment (ABoVE) Science Team.